In this Gospel Message entitled “Going To Work With God”, Dr. Gary Deddo, of Grace Communion International, Proclaims the Good News of Jesus Christ at New Life Fellowship of Baltimore, MD. Going through Mark 6:30-44, he helps us receive God’s perspective about our participation with Him! 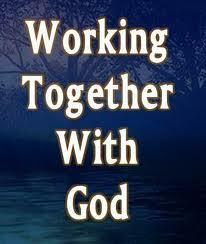 How am I to understand working with God? How do I know when I’m doing my part and doing it right and sufficiently? Because the Gospel is Good News, expect answers to these questions that show that Good News in the Light of the God Revealed in Jesus! PLUS, hear Dr. Deddo respond to questions and answers from the audience, giving clarification on Gospel related issues that you will find extremely thoughtful and helpful!